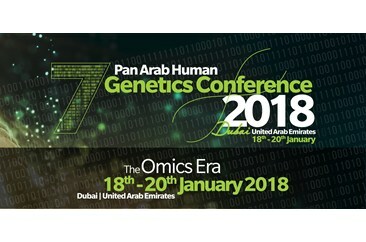 The Pan Arab Human Genetics Conference (PAHGC) is a biennial event organized by CAGS. This event provides a common platform to bring together regional and international geneticists to share their knowledge and to discuss common issues. Undoubtedly, the organization of this conference series has been a huge contribution of CAGS towards the study of human genetics in the region and this conference has become one of the most awaited events in the calendar of human genetics. Healthcare professionals, academics, physicians, graduate students, senior medical students, nurses, laboratory technicians, and policy makers. An exhibition related to genetic technologies will be held concurrently with the conference, where advances in medical and molecular genetics will be displayed. The conference will feature a mix of invited lectures and oral/poster presentations from registrants who submit their research abstracts to the organizing committee. The abstract submission guidelines and deadlines will be made available at the conference website.